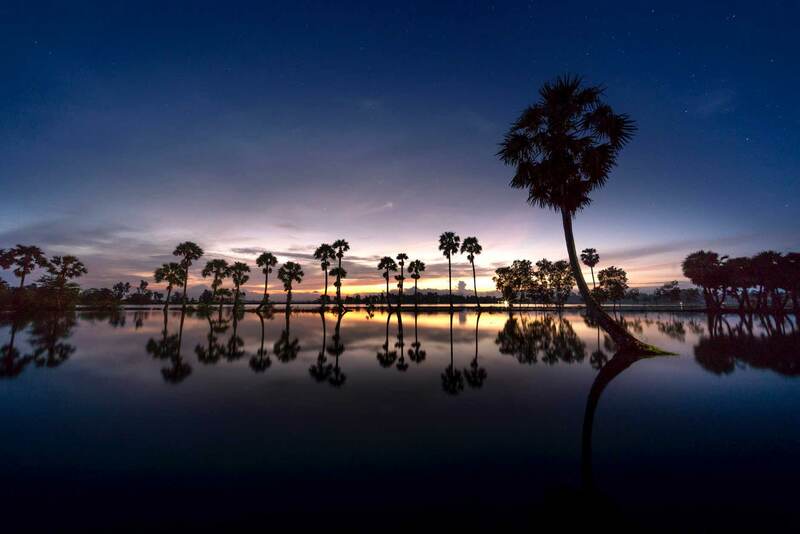 Thanks to the perfect geographical location, Vietnam has inherited many wonderful landscapes from Mother Nature and absorbed the essence of neighboring cultures. This makes people wonder what to see in North Vietnam. Because I have spent almost all of my life here, I can confidently say that I know this area inside out. My friends are also familiar with all interesting places to see in North Vietnam as well, they can tell about this land day and night, as they know it like the back of their hand. And today, we proudly fill you in on the most interesting places. Welcome to the loot! Personally, I believe that pagodas and temples should be in your list of “what to see in North Vietnam.” There are thousands of pagodas and temples in The North of Vietnam; as Buddhism has been one of the most significant religions in this country. At the height of its time, every road had one pagoda, the number of monks was even bigger than the number of original people. It was nearly thousand years ago when it first came to Vietnam and there was no other official religion in this Southeast Asian country. 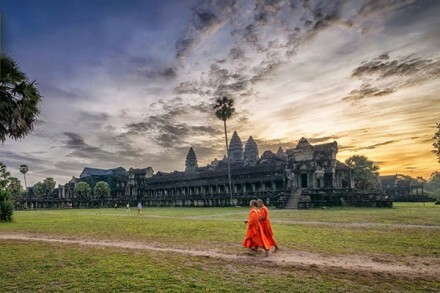 But now, through thousand years of development, with many ups and downs as well as the invasion of many other religions, Buddhism has not been the only one, but it still remains as one of the cores in Vietnam. You can see its footprints now in many places in the North. Hanoi, the capital of Vietnam now has hundreds of pagodas and temples. In the Old Quarter of Hanoi, every 1 kilometer has 1 pagoda on average. There are some pagodas you might find interesting. 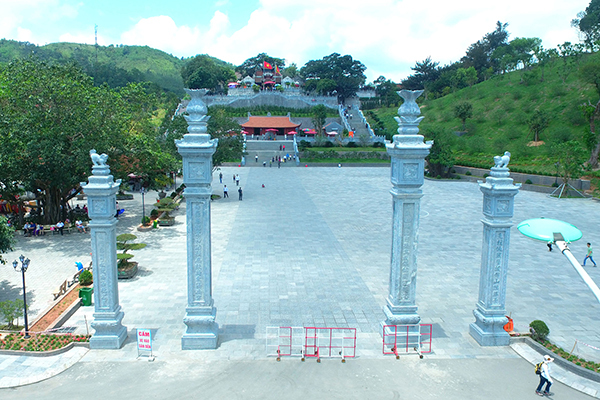 They are Trấn Vũ, Quán Thánh, Thầy pagoda, Tây Phương pagoda. What is attractive about these religious building? There are numerous things. Why? 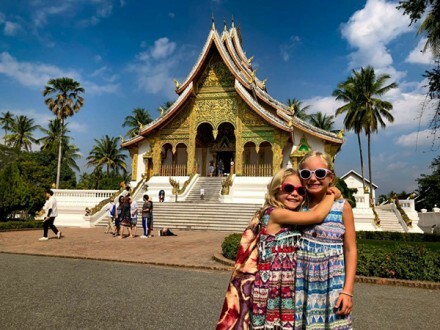 As I said before, this kind of religion has been there with this country from the early day of independence, so by observing the differences in architectural features, in the stories carved in pagoda’s walls and styles, the current generation can be privy to an ancient conversation. They will not just be au fait with the new rules of the game, but also gradually clued up on what happened in the past. In other words, we can learn from history and find the solutions to current social problems. 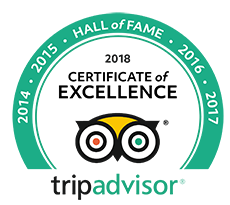 We bet that if you are going to visit these places with a knowledgeable person, you can be acquainted with not only valuable knowledge but also enrich your traveling experience. For example, if you have chances to come to Hanoi. Quang Ninh, Hai Duong, Hai Phong, Nam Dinh, Thai Binh and visit the pagodas and temples there, please notice their roofs. Because of agricultural effect, most of them have curved shape. It represents the wave when people go fishing. In the past, besides growing rice in padding field, people often catch fish to fill their stomach. As a result, these daily activities have been captured in these buildings. On top of that, other symbolic plants and animals have also been drawn and sculptured there. They can include stork, turtle, lotus, just name a few, They all have some significant meaning in Vietnamese culture. For example, lotus has been Vietnamese national flower. Vietnamese people believe that this beautiful white and pink flower represents a good man in the society, who lives with dignity and kindness, who is intelligent but humble. By the way, besides bodhi tree (also known as pippala tree or peepal tree), Lotus has also the flower of Buddhism; since Buddha and his followers often hold a stalk of lotus in their hands. Others like stork and turtle have other meaning. The turtle represents the longevity, might be because of its long lifespan in reality. Stork is the image of well-educated people, who are carried by turtle to help build the country. Furthermore, these places in the North are often serene and tranquil. They can be perfect places for you to practice meditation, to finally find the peace of mind, put behind all the hectic, tired, and worried concerns in your daily life. And might be, you can experience the one like Ramana Pemmaraju did. “Like you can be aware of your intrinsic nature, with sudden bursts of empty spaces, without any effort on your part, you come home, rejoice every breath so deep and so soothing, you relax, unfocused, you skip into timelessness. This is the greatest mystery, the greatest gift of existence, without any identification to your senses, no clutches of your old patterns of mind. Few Glimpses of Heaven on the earth!” (quoted by Ramana Pemmaraju). 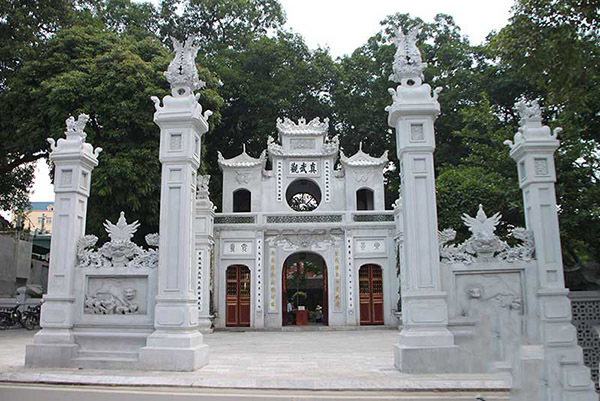 Personally, I prefer going to the Temple of Cua Ong in Quang Ninh province, near Halong Bay. This temple has a spectacular view of the sea, and it is believed that any wishes spoke to God there will be granted if you truly believe it and try your best. 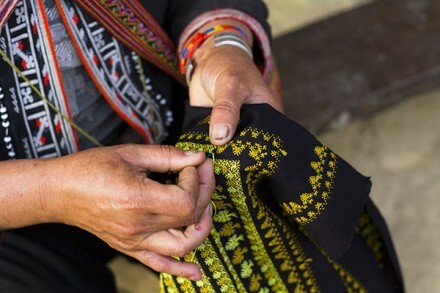 I bet that by putting these names in your list of “what to see in North Vietnam” will add more color to your trips, truly give you some insights on the culture and seek the peace in life. 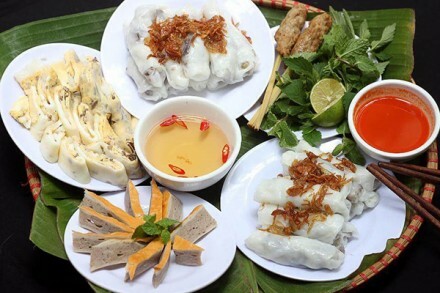 The second place should be in your list of “what to see in North Vietnam” is local market. I have a habit that every time I go to a new place, I will use its public transport to move around and come to its national library and local market. Can you guess why? The simple reason is that its public transport will reflect the general view of this country’s economy. If the city has a flexible and convenient traffic network, affordable ticket price and friendly as well as professional public officer, there is no doubt that this country’s economy is thriving. The national library will somehow show citizen’s reading habit as well as how much and how well state budget has been invested in education. And of course, the traditional local market will tell you a lot about local customs, what to do and what not to do. And to me, it is one of the most vivid pictures of the local life. In order to have an insight of what they do for a living, what they eat on a daily basis, what they like normally; the best place to come is a local market. In other words, it is a must-see destination in any new land you want to deeply explore. From my experience, local markets in some South Asian countries like China, Japan, Korea or even the Southeast Asian nations like Laos, Cambodia, Thailand are quite similar. Although there are some significant differences in the product sold there, how people trade is quite much alike. There are a lot of street vendors, both sellers and buyers love playing bargain. 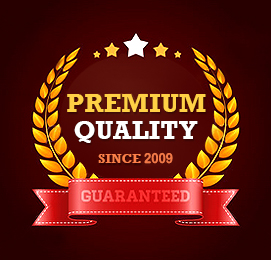 However, depending on the target customer, the routines of these markets are quite varied. For example, in Vietnam, many housekeepers choose to go shopping very early in the morning. At around 5 or 6 am, if you become an early bird one day, take a walk around West Lake, you can see many people doing exercise and buying at the same time. In fact, there is a basic truth. The earlier you come, the fresher the products you can buy and make for your families. First come, first serve. Therefore, our mothers and grandmothers are used to waking up early and choose the best groceries as possible. 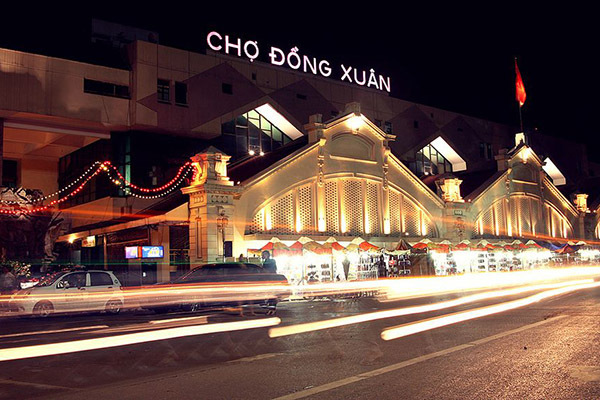 Near West Lake is Chau Long market, in the Old Quarter is Dong Xuan market, or for local food, you can go to Hang Be market. Don’t worry, if you are a typical night owl, there is also another activity for you. And the availability of supermarket chains like Vinmart or Fivimart will ensure that our stomach will always have some food to be fed in. If you want to know more about what to see in North Vietnam, like what to eat, where to go, what to do, please read many upcoming articles or find the previous ones which are already in the web. I hope that the information mentioned in this article will give you some useful suggestions for your trip preparation. Anyway, wherever you go, whoever you go with whenever you go in, I wish you and your traveling buddy a wonderful trip or many amazing trips ahead. We only live once, so live to the fullest. Love Ya.